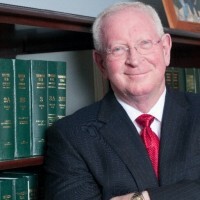 Darrell Castle launched Darrell Castle & Associates, PLLC in May, 1984. He spent his first few years learning how to run a private law practice – learning procedures for criminal, divorce, bankruptcy, wills and personal injury type work. He began practicing bankruptcy law one day when a lady came in who needed to do a Chapter 7 bankruptcy. Although he’d never done one before, he took the case. He then went to the bankruptcy court clerk’s office and was trained step by step right then and there in what he needed to do. When he received his first Chapter 13 client, he did the same thing. In 2004, Darrell began to look for personal injury clients because of his background in insurance. It became a strong second area of practice and since then, Darrell has developed a strong network have contacts that have helped his personal injury area thrive.